Oriflame is a leading global social selling beauty company. We are present in more than 60 countries, in which we are the market leader in more than half. It’s wide portfolio of Swedish, nature-inspired and innovative beauty products is marketed through approximately 3 million Oriflame beauty influencers and entrepreneurs worldwide. Oriflame has a unique approach towards beauty. For us, beauty is more than just skin deep, it’s how you live, feel and act. It’s beauty that has the power to change people’s lives. We call this Beauty by Sweden. 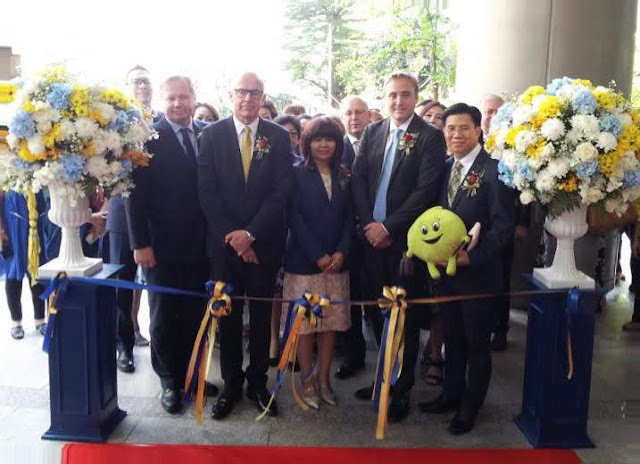 The new Oriflame office seeks to incorporate the Beauty by Sweden approach in every touchpoint, creating a unique and world-class experience for anyone who seeks to learn more about the products and the opportunities that we offer. 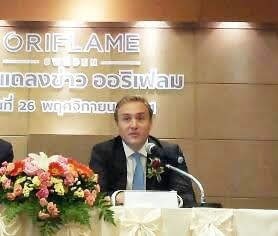 “The Thai market is very important for Oriflame. Thus, the decision to relocate Oriflame Thailand’s office is part of our approach to reach a much wider audience and offer them a one of a kind customer experience, both offline and online,” said Niclas Palmquist, Oriflame Vice President, Indonesia & Southeast Asia and Head of Indonesia. 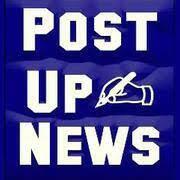 “Digital innovations will also play a much bigger part in our strategies moving forward. Now, we engage more through online ads, initiate innovative digital campaigns, and have developed several exciting digital tools in order to improve our customer experience, as well as, introduce our inspiring products and unique opportunity,” added Niclas. 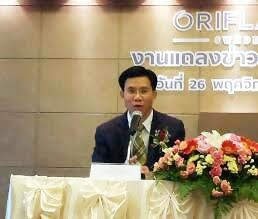 “As part of our Beauty by Sweden approach, we also promote a healthy lifestyle, aspire to having beautiful skin, and encourage everyone to express their personal style”, said Chakraphan Sutthatothon, Managing Director of Oriflame Thailand. “Therefore, we offer an extensive choice of innovative products inspired by nature and powered by Swedish science. From advanced performing skin care sets, wellness, make-up and personal care lines to our premium fragrances created by world-class perfumers, we have a product that would fit you” added Chakraphan. Oriflame also offers its unique Business Opportunity that allows people to join regardless of their background. 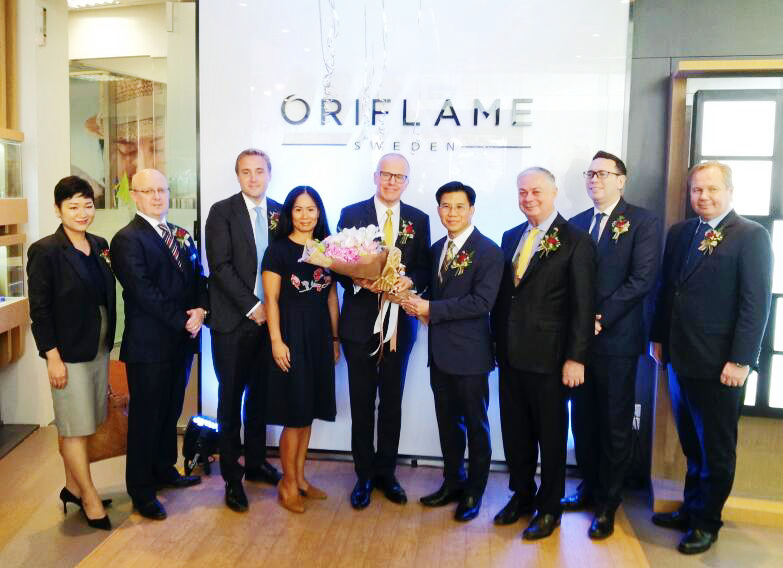 “We have many exciting programs that we offer from this office – Beauty Academy, Product Knowledge Training, Opportunity Meeting and Mini Expo – are some of the initiatives that Oriflame has designed to reach and develop more beauty influencers and entrepreneurs in Thailand,” adds Chakraphan. Founded in 1967, Oriflame is Europe’s largest social selling beauty company that offers high-quality beauty and wellness products created in Sweden. Oriflame takes the best from nature and uses scientific innovations to create great products with proven results. Oriflame uses natural extracts and every ingredient is eco-ethically screened, ensuring its quality and safety. Oriflame is also following the European Union safety standards; one of the strictest in the world. Today, Oriflame is present in over 60 countries with more than 3 million members across nations that share, promote, and sell its beauty and wellness products. Respect for people and nature underlies Oriflame’s operating principles and is reflected in its social and environmental policies. Oriflame supports numerous charities worldwide and is a Co-founder of the World Childhood Foundation. As a Swedish brand, Oriflame has a different view of beauty. It’s not only how you look, but how you live, feel and act. It’s a way of life; to be healthy enjoy beautiful skin, express yourself and fulfil long-held dreams. It’s about being confident in who you are and finding balance in life -- a balance that comes from the inside - out, that puts you in control no matter what life throws at you. It’s beauty that has the power to change people’s lives. Oriflame changes people’s lives through a vast array of inspiring products that meet meticulous Oriflame Product Standards. Oriflame encourages a healthy lifestyle. It embraces beautiful skin. Furthermore, the company celebrates our own personal expression. Oriflame also changes people’s lives through our unique and accessible Business Opportunity. Anyone can join Oriflame regardless of their background. Anyone who joins also has the freedom to run the business according to their preferences, especially given our strong digital and online support. 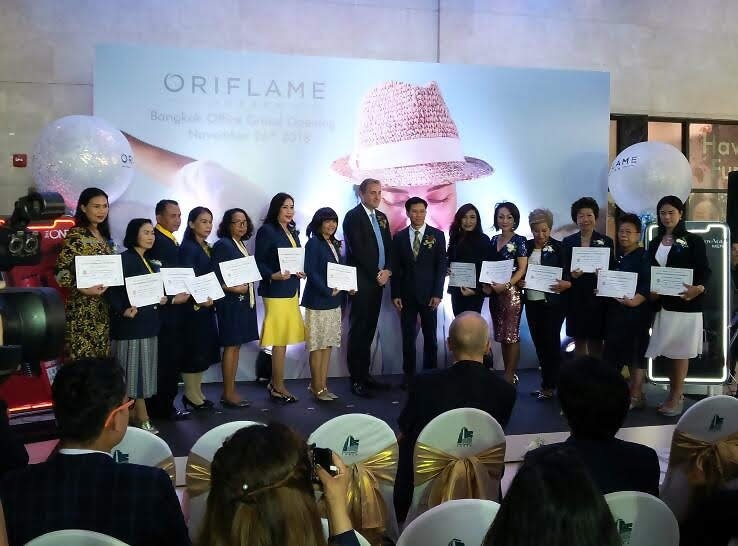 These are the reasons that make Oriflame highly approachable and accessible to so many people all around the world.